Beginners Class – Ballroom &Latin Dance: every Thursday from 7.30 pm until 8.30 pm at the Allum Hall. No need to bring a partner just come along! Admission: £6 per person. Intermediate Class – Ballroom & Latin: Every Thursday from 8.30 till 9.30pm. no partner needed, just come along!. Admission : £6 per person. 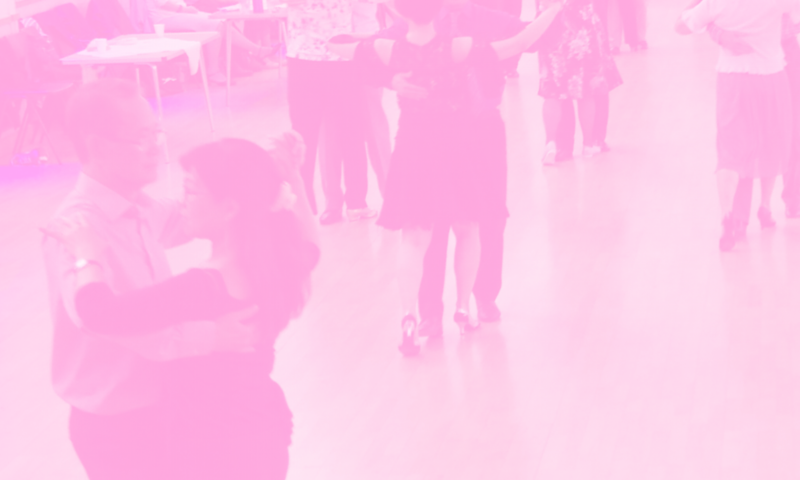 Practice Night for All – Ballroom &Latin: every Thursday from 8.30pm until 10.30pm at the Allum Hall. Please bring a partner; there may not be partner for you to practice with. Admission: £6 per person. Social Dancing with Tuition: every Tuesday from 8.30pm until 10.30pm at the Allum Hall where you can dance Ballroom, Latin and Popular Sequence. Admission is £6 per person. Private lessons are also available on request, please contact us to arrange a date and time that suits you. All classes, practice nights and Tuesday Social Dance events are held in the Allum Hall. The hall is 66 X 45 ft., has mood lighting and free car park. Refreshments included.